Oasis Youth Support Network is The Salvation Army’s response to youth homelessness in Sydney’s inner city and has been supporting disadvantaged and marginalised young people since 1992. 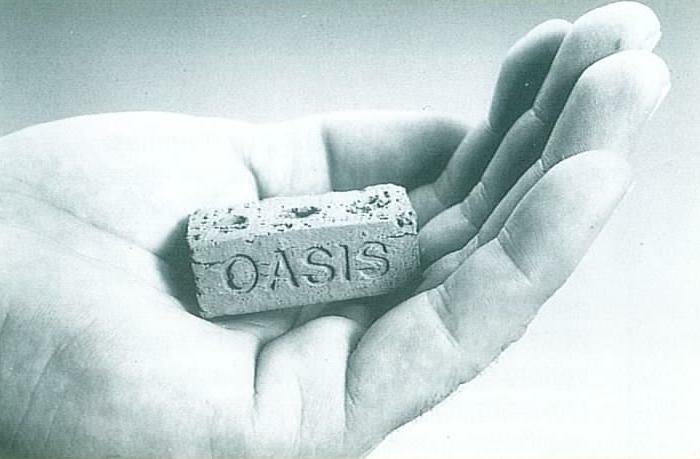 Officially opened on June 4, 1992 by the Honorable Nick Greiner, Premier of NSW, “The Oasis” as it was then called, offered a range of drop-in and accommodation services to homeless young men and serviced by 12 staff. In May 1989, the ABC aired a program called “Nobody’s Children”. It was a documentary produced by David Goldie which followed the lives of young people who were sleeping rough and in dangerous circumstances; many of whom had been identified in the Burdekin Report released in April of that year. The screening of “Nobody’s Children” was the catalyst that brought two men from very different backgrounds, but with the same hunger to help youth in crisis, together. Envoy to The Salvation Army, Alan Staines and Trevor Fearnley; then Managing Partner of Ad Partners and member of the NSW Board of the Advertising Federation of Australia (AFA) were driven by the same need and so started a two-year campaign to secure premises, funding and develop a plan for the long-term sustainability of a project to provide 24-hour support to homeless young people in Sydney. Premises in Surry Hills were officially donated by Hon. Peter Collins, Minister for Health in January 1990 on a peppercorn lease and the fundraising campaign launched in February 1990. Trevor had the influence within the advertising industry to champion the cause and through his leadership, the AFA and media industry rallied to our cause; helping to raise awareness and fundraising dollars to launch the service. By June 1991, enough money had been raised to authorise builders to start work on the site. Alan Staines was the Centre Manager until 1994. He was succeeded by John Drew, a life-long member of The Salvation Army before Captain Paul Moulds (now Major) took on the role in 1997. 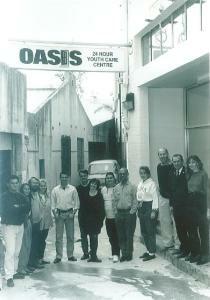 Paul was a visionary; he understood the need to create a youth network, rather than just a centre and by the end of the year had merged three Salvation Army inner city youth services into one multi-faceted service to be known as The Oasis Youth Support Network (SOS Street Service, The Oasis Youth Care Centre and John Irwin Lodge). Paul devoted the next 13 years of his life to Oasis and the young people who sought help there. He created the holistic program model we still use today and reinvigorated support for the service in the community. He was the driving force in the production of The Oasis DVD by Shark Island productions in 2008, magnifying the reach Oasis had in the community exponentially before stepping down in 2009. Major Robbin Moulds took up the mantle for a further two years before Major Keith Hampton stepped into the role in late 2011. Today, Captain Darren Kingston is the Director for Oasis. We now have over 90 employees, 25 programs and support in excess of 350 unique young people every year.